I was noticing…this is going to be my 111th post. 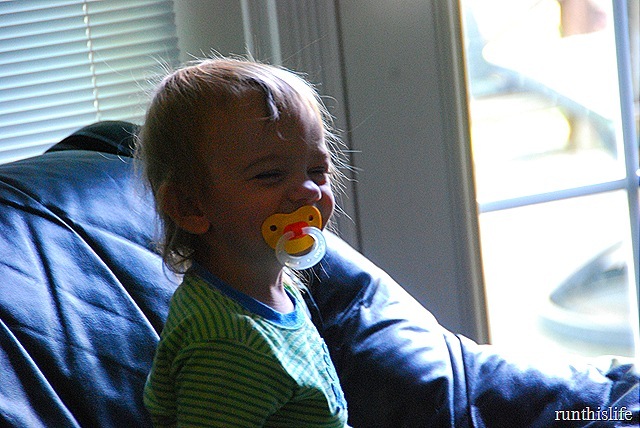 This little bloggie is about 9 months old. And I was thinking…(insert explosive noises, or whatever)…I need to focus. I would say RE-focus, but I’m not sure that it’s ever really been all that focused around here. I started out trying to document my half-marathon training while entertaining you with stories about the boys. But I also wanted to tell you all about what I was eating. And what I was watching on t.v. And what I was reading. And I wanted to make sure that you KNEW that was what I was telling you about. Basically, I wanted to tell you all about all of my life. All the time. Including pictures. And it was overwhelming to me. But I still want to share these things with you, but in a more…well…FOCUSED way. Or maybe I’ll just FEEL more organized. So, there will be some changes. Nothing major. Maybe even nothing that you’ll actually notice. But hopefully the changes will make me able to share the things I want to share- and the things that I think you will enjoy- on a more regular basis. I’ve started a list. I’m making some goals, both long-and-short-term. I have FINALLY downloaded Windows Live Writer– and I want to say- where have YOU been all my life? This week I plan on sharing some of my “focus” ideas with you…maybe you’re trying to figure some things out, too! 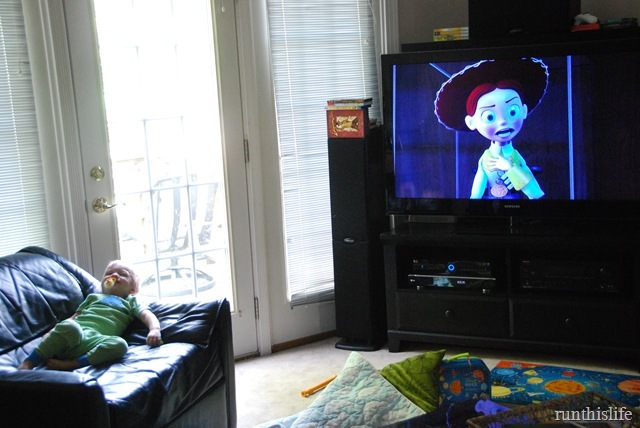 Have I ever told you about how much my baby LOVES Toy Story? Well- he does. Sooooo much! 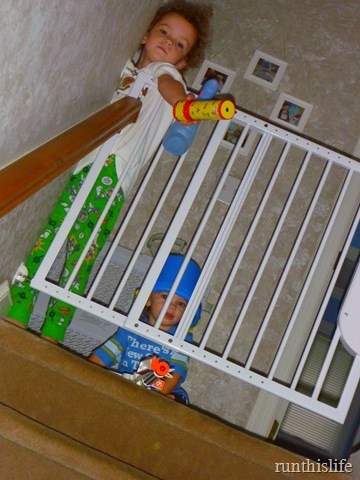 And…have I ever told you how much my boys love to “attack” me when I come up the stairs. Obviously, with kaleidoscopes and bucket-helmets. 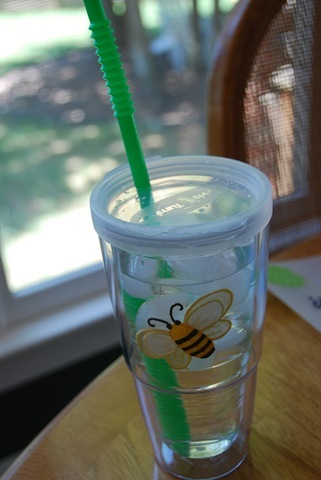 Lastly…have I ever told you how much I love my water cup? It’s a tervis tumbler. It has a bumblebee on it. And a beautiful green straw. And a top that it…look closely…CRACKED. This makes me very sad. Very, very sad. It was a stroller incident. 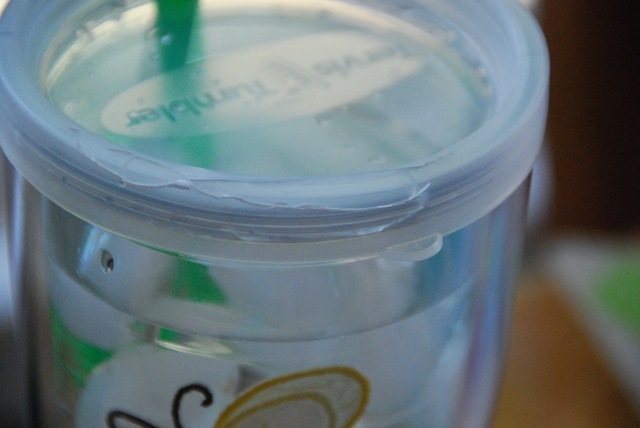 Apparently this cup doesn’t actually fit in my stroller’s cup holder. Sad. Don’t you hate it when you break things? Have you done it lately? It’s just irritating! Look forward to a report on the beer festival tomorrow, along with ROUND TWO of mission: focus. I have that cup, but in a UNC version. Does yours get more slender at the bottom so as to fit nicely into cup holders? I heart mine. A lot.